For example, I see sketches of the Enheduanna Hymns here, but they are a bit too low quality, and I would like to find the primary source if possible, like the site/place that has the original document about it. Also would be nice to see the tablets. Looking for these things for the above documents, which don't seem to be found here. All of the other wikipedia stuff on the ancient Sumerian documents can be found at etana.org. 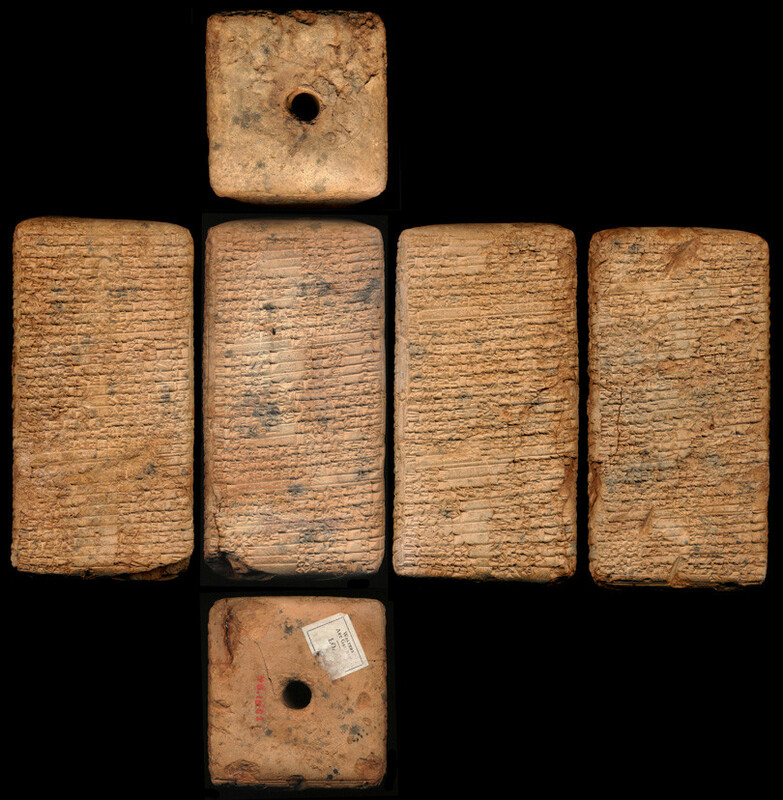 A version of the Kesh Temple Hymn, from the collection of the Walters Art Museum, Baltimore, Maryland, has been included in the Cuneiform Digital Library Initiative (CDLI). The CDLI reference number is P272905 and the full details are on the archival page (click on the image on that page for a high-resolution (4050 x 4150 pixel) version). Further cuneiform sources for the Kesh Temple Hymn can be found on the relevant bibliography page on the The Electronic Text Corpus of Sumerian Literature (ETCSL) site. Similarly, lists of cuneiform sources can be found on the appropriate ETCSL pages for the Sumerian Temple Hymns (I'm assuming this is what you meant by 'Enheduanna Hymns') and The debate between Bird and Fish. Please be aware that many of these tables are fragmentary, and not especially photogenic. As such, you may not find good, high-resolution images online. Not the answer you're looking for? Browse other questions tagged ancient-history book or ask your own question. Where can I find detailed accounts of cash-less payment in medevial and ancient times? How do I differentiate ancient ceramic from today's junk? Where did the names of these Tyrian kings come from? Where can I find reliable primary sources written by Ancient Egyptian laborers? A magic system at least partially based on the real-world cultural history of magic? Where can I find the primary source for Herodotus' Histories?